All is still not well between the late Fela Anikulapo Kuti family and his protege, Dede Mabiaku. Since Fela’s death and the inception of Felabration 18 years ago, Dede Mabiaku is about the only musician that has never performed at the annual festival despite his close ties with the late Fela. In what seems to be a response to Dede Mabiaku, at the just concluded Felabration, Daddy Showkey asked that Dede be invited to Felabration and immediately, Femi Kuti took the avenue to lash out at Dede. 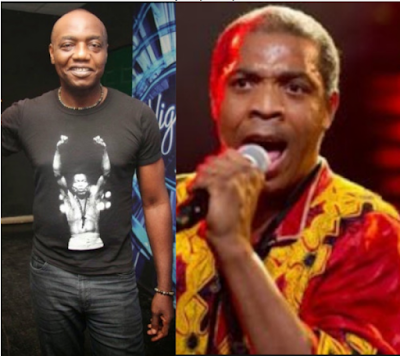 In Femi’s words, ‘he claims he’s Fela’s son but anytime we do anything for Fela, he never shows up. We don’t pay anybody to come for Felabration, we just mention Fela’s name and artiste turn up because of their love for Fela. So anybody we wan shakara us make he go die.